Zip On Pvc - Lightweight Jacketing - Wire And Cable Bundling - Products - ZT | Zippertubing Co.
EZ-Track® is a light-to medium-duty, PVC-extruded pressure track that was specifically engineered and manufactured for your server room, shop, office or many other types of applications where protection, bundling, organization and safety are a necessity. Add two EZ-Track® single extrusions together for a new diameter of up to 1". 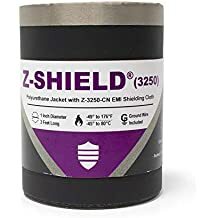 Upgrade to one of our numerous PVC jacketing materials for additional protection of up to 4" in diameter. The arrowhead-and-channel interlock design closure of EZ-Track® keeps fluid, dust and debris out of your cable bundle. 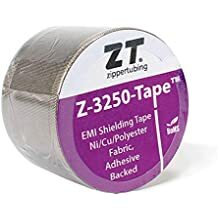 To accomplish even better cable management protection of your cable or wire bundle, simply use Zippertubing's ZT-Tape® to cover the closure. Each 50-foot roll of EZ-Track® comes standard with an SL-EZ slider tool, and for longer runs over 50 feet, check out Zipptertubing's ZTEZ-SP plier tool. Ideal Application Smaller round jacketing that can be closed quickly and easily.